It’s moist, sticky, irresistibly chocolaty, ridiculously easy to bake and is even yummier the next day! August is the month where all those Christmas party conceptions come to bear. Nearly every day we seem to be celebrating the birthday of a family member or close friend. 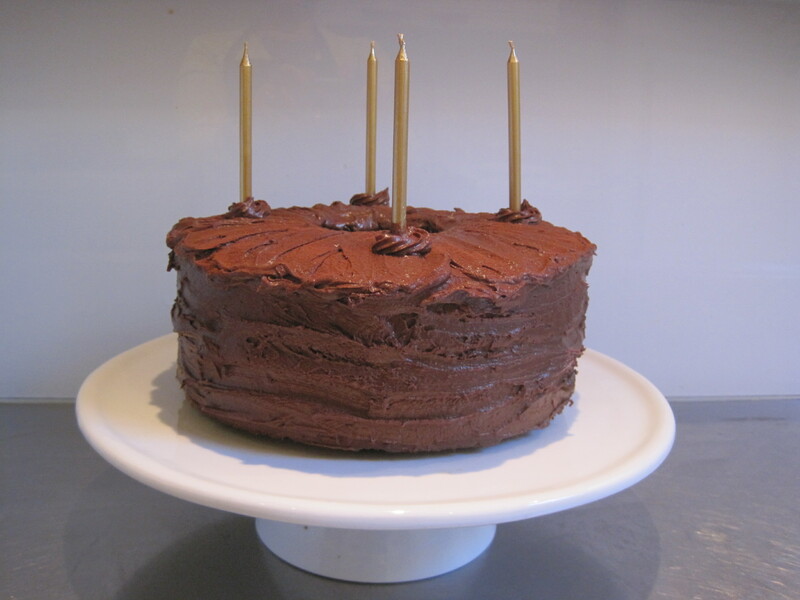 We don’t go much on gift giving excesses but we do like to celebrate these special days with food and more specifically Mum’s chocolate birthday cake.